This is a round Old Heidelberg Brew porcelain sign. This particular Old Heidelberg Brew sign is blue and red with white text. 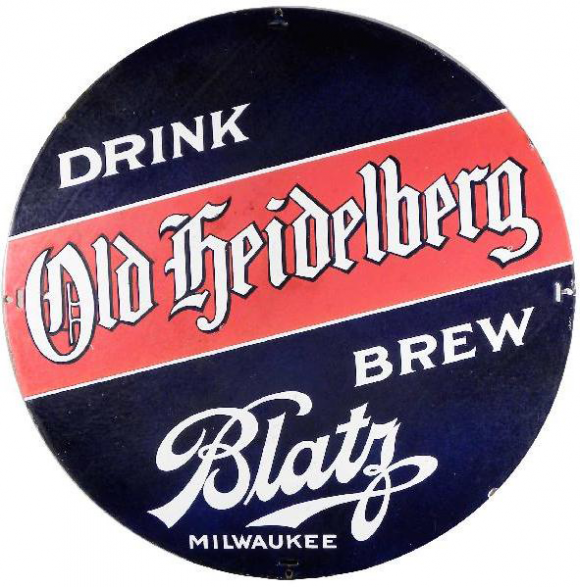 It reads, “Drink Old Heidelberg Brew, Blatz Milwaukee” and features a red banner across the center.